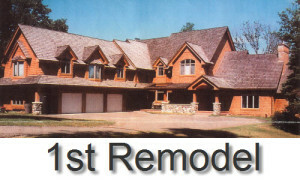 The photo on the left is what the home looked like in 1996 before any remodeling had begun. 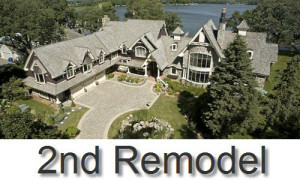 The home is located on Maxwell Bay, Lake Minnetonka, Minnesota. The home owner decided to remodel the home around 1997 and the photo in the middle is what it looked like after the first remodel. That owner decided to move and the new owner sought out Tri Son to change the home into the masterpiece you see on the right. This project was completed in 2000. All year round, this Lake Minnetonka home is one of the most distinctive homes on the lake, inside and out. From the lake and from the shore, people have watched the transformation of this Lake Minnetonka home change into a showplace. Designed in warm elegance by Tim Nelson (architectural designer of TRI-SON INC.), this spacious home reflects the personalities of the active family who lives here. From the living room with its 18-foot ceiling , to the country French informal dining area, to the bright children’s rooms and indoor swimming pool, every splendidly decorated room will inspire ideas and smiles. 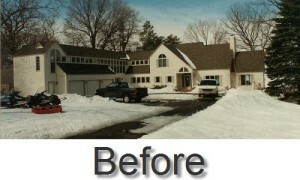 Tri-son transformed this beautiful home twice for two different owners. Once in 1996 and then again in 1999-2000. 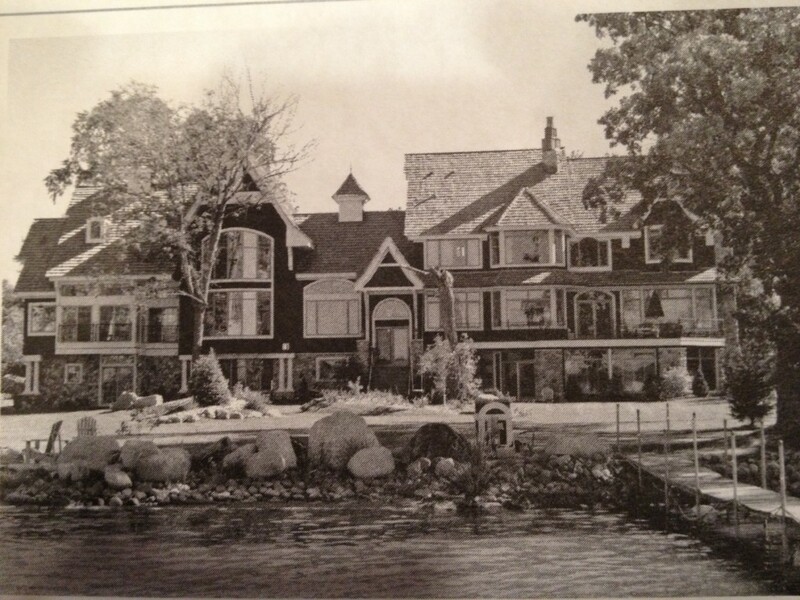 The Holiday House of 2004 was the final transformation and still graces the lake today.